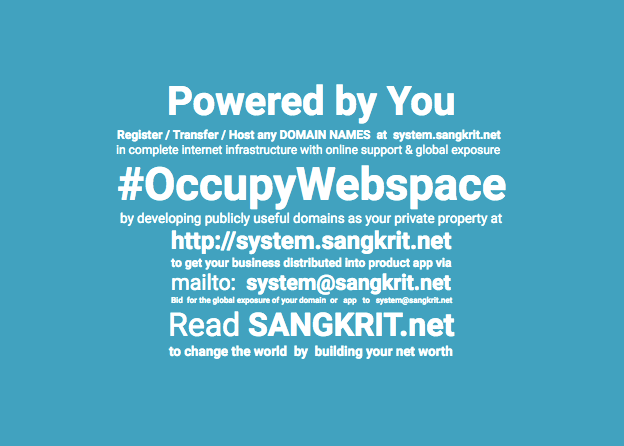 Your domain name as your full name dot something serves as your well-defined identity on the world wide web. Domain name is the newest kind of private property which can be registered and transferred, its value increases with the time you invest in it. A specialized domain name is essential if you want to promote yourself, your professional skills or your business. A domain can adapt for a particular purpose or person to heighten its presence on the internet. If you already own or planning to start a business then a domain name will make you easily discoverable and accessible from search engines. You may go for any suitable domain extension, though some domains extensions will have restrictions (such as .gov, .edu. etc), these extensions can only be purchased if registrant meets certain criteria. But most extensions are available to everyone including most country code top-level domains known as ccTLDs. So discover your most suitable domain name and register it today.